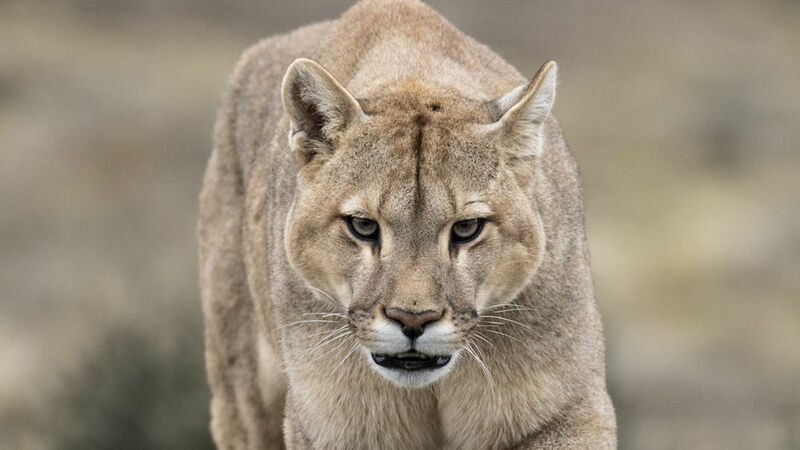 Usually, pumas, also known as Mountain lions, are solitary cats. But in Torres del Paine, pumas live together, even hunt together – a whole family group have been observed cooperating to bring down prey. This type of behaviour has never been seen before. Welcome to puma paradise and the story of a very unusual puma family who are breaking all the rules. The patriarch is a large alpha male called ‘The Rock’. ‘Mama Nessa’ is the matriarch of the valley – she has raised many cubs in her long life, soon she will give birth to another litter. Mama Nessa has a sister, ‘Hermana’, who is always by her side. Once, a long time ago, this was the land of the gauchos – these cowboys hunted the pumas, because they killed their sheep. Back then the land was bare. Ranchers burned down much of the vegetation to maintain their herds. But in 1959 Torres del Paine was declared a National Park by the Chilean government. Now nature has recovered and pumas dominate this rugged landscape. It’s December, and the guanacos are having their babies – they are not alone: in a dark cave at the shore of a turquoise lake, Mama Nessa has given birth to three tiny cubs. She must hunt to feed herself, so that she can provide enough milk for her young. Every night she leaves the den to hunt. Can Mama Messa manage to catch a guanaco? Where is her sister Hermana? Only a kill will ensure the survival of the family’s next generation. And while mother and cubs hold on to life, the family leader, The Rock courts danger. A big young male has appeared on the scene to challenge his leadership. Can The Rock fight his way to victory – retain his place as leader of the puma family and his territory at the end of the world?